A recent article by the Irish Independent about the lingering economic impacts of the recession facing towns generated some interesting discussion within FAC this week. Many towns continue to face significant challenges and remain quite vulnerable to future risks. 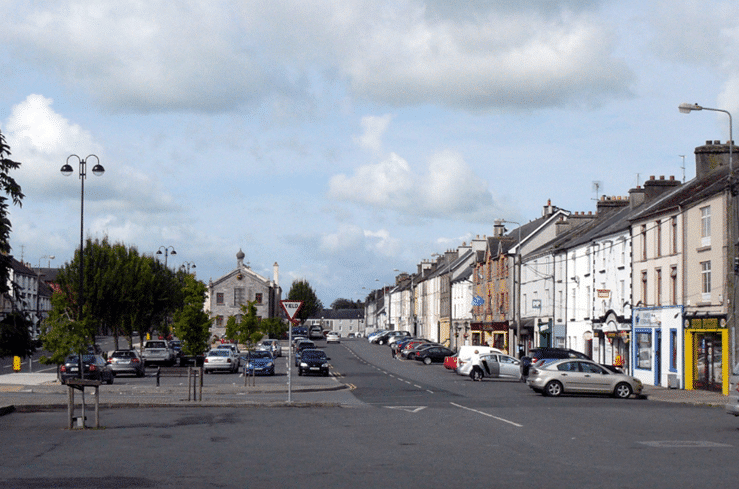 One such town referred to in the article was Templemore, Co. Tipperary. Templemore is an interesting case indeed. The town has not grown between 2011-2016, going from 1,941 people to 1,939. Since 2006, the town’s economic outlook has greatly suffered, a point the article refers to as a 34% decline in employment in a decade (361 jobs lost). With just 10 additional people at work since 2011, the economic recession has certainly lingered in the town, but why is this, and what lessons can be learned from it? In the article, a local business owners’ views are expressed about what caused the downturn in the local economy, saying ‘no one thing’ occurred to cause such a loss of jobs and business opportunity. This is a commonly stated viewpoint in cases such as this and highlights a degree of under-analysis and a lack clarity on what happened and why. A cursory analysis indicates that the collapse of just one employment sector was the principal cause of Templemore’s economic downturn; comprising 63% of all lost jobs over the period 2006-2016. What sector you ask? It isn’t very clear from the article. In 2006 Templemore’s local economy was disproportionately dependent upon public administration employment (accounting for 1/3 of all employment), specifically, the direct and induced employment generated by the Garda Training College. When the recession hit, staff and trainee numbers fell greatly in the college, in part due to retiring staff but mostly due to redeployment of personnel elsewhere as no new recruits were being accepted (due to the overall public sector recruitment embargo, 2008-2014). A high level estimate of the impact of losing such a sizable portion of the local economy could be stated as upwards of €185,000 per week in disposable income taken out of the hands of local businesses. The article cites special contracts had been set up with the College too, which certainly supports the assertion that the town’s economy was overly-dependent on the College. Public sector staff levels have only recently returned to their pre-crash peak (Oct 2017). This spells good news for Templemore as staffing and trainee numbers may return to their 2006 levels given various indications made from Government about policing figures. Other employment sectors in Templemore certainly suffered losses, however, these were operating at much lower levels of the total workforce. Construction and manufacturing in particular were hit, but combined they made up just 23% of the local workforce. With the exception of public administration and construction, employment decline in Templemore has been arrested as of 2016, with growth observed returning to commerce and trade and other sectors. Today Templemore’s employment profile is a lot more diversified around commerce, professional services and other sectors, which will help it to mitigate future risks. Interestingly, if Templemore had not been so exposed to just one particular sector of employment then the overall decline could have been on the order of 133 jobs or a 12.6% fall, down from 361 jobs or a 34.2% fall. This certainly isn’t a good figure still, but it is much more in line with the impact of the recession on other towns of similar sizes. Perhaps more than any other small town, Templemore was hit hard by the impact of the public sector moratorium and could be viewed as a cautionary tale about how other towns are also overly dependent on one particular industry. This is an identified weakness in an increasingly globalised economy, and even sectors traditionally less impacted by sudden changes, such as public administration can also be hit hard. Border towns in particular are very exposed to Brexit implications due to their often highly agricultural leaning… and let’s not mention FDI. Templemore is undoubtedly an interesting case but digging a little deeper can help answer a community’s questions about ‘why’ things happened and helps to ensure that future planning, in taking account of such vulnerabilities, creates a more sustainable employment profile for all our towns. FAC has been involved with various rural renewal projects, most recently working on behalf of Clare, Kilkenny and Westmeath County Councils in undertaking health checks, facilitating community consultation, and preparing action plans for rural towns and villages.